International media agency Mediakeys recruited Colossal to paint a towering wallscape as part of a larger branding campaign for The Kooples, a luxury fashion label based in France. 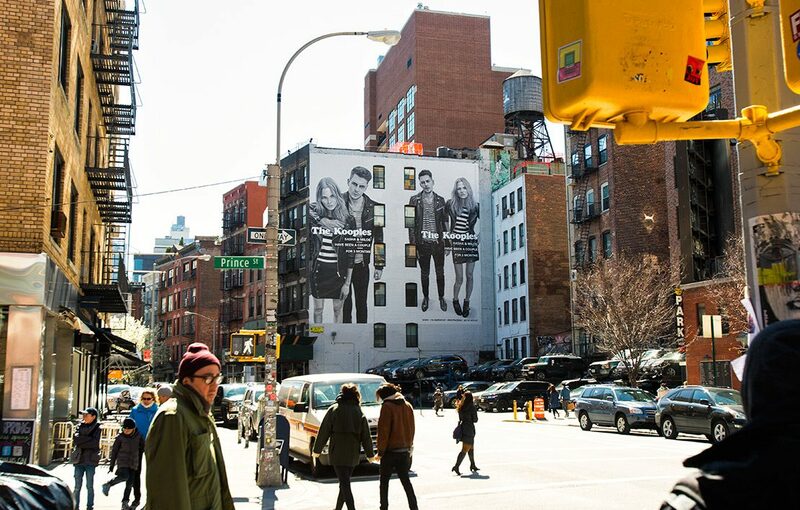 The six-story SoHo mural featured portraits of real couples clad in the high-end clothing. 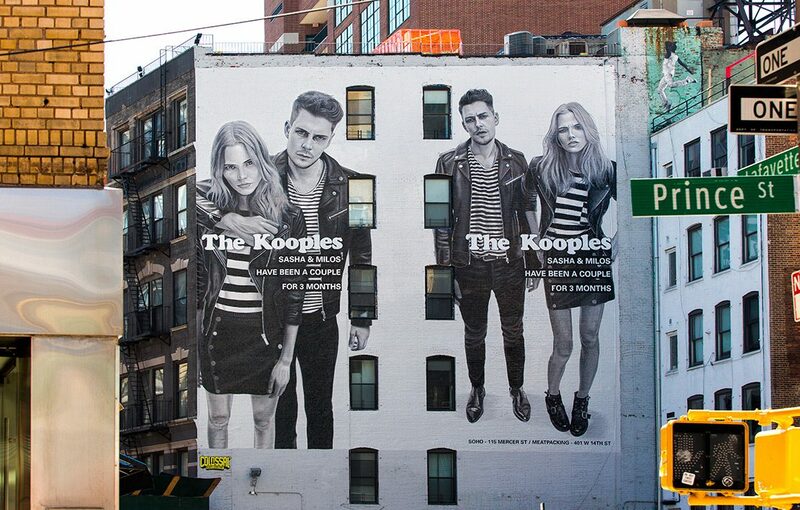 Colossal delivered photos from the mural’s production, which were featured on The Kooples’ Instagram, extending the hand painted portion of the campaign into the digital space.